New Wave Domesticity: Bloggers Give Back Giveaway! Win a donation to your favorite charity! 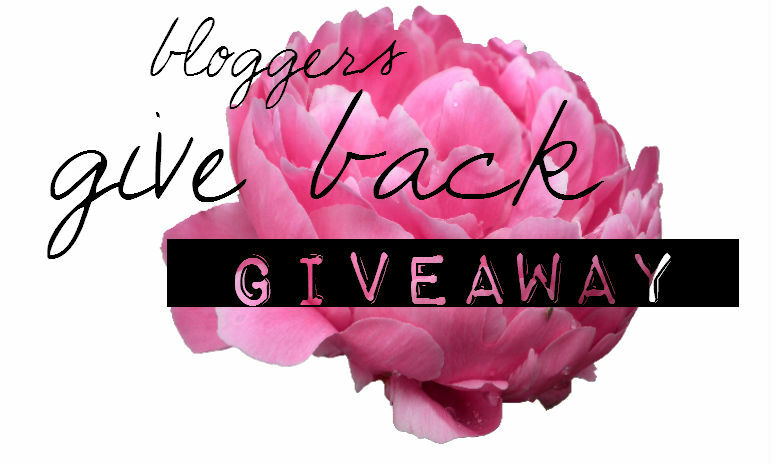 Bloggers Give Back Giveaway! Win a donation to your favorite charity! I am so thrilled to be able to participate in this amazing giveaway that was put together by the lovely Lesley at By the Porchlight! Being an employee of a non-profit organization & an avid volunteer with the humane society, I can honestly tell you that every single dollar counts and can make a major difference. I can't wait to find out which amazing charities you all would support! It's no secret that bloggers are amongst the most caring, giving people on the internet. However, sometimes our budgets don't allow us to donate as much to our favorite charities as we'd like. Well, here's a unique giveaway that gives you the opportunity to do just that - donate a bunch of money to a charity of your choice! One lucky winner will have a donation of $120 USD (or equivalent) made to the charity of their choice in their name! The giveaway entries work just like any other around the blogosphere but this time all of the money donated by our wonderful sponsors will serve a greater purpose! Please take a minute to check out the giveaway sponsors and their favorite charities below. Enter below for a chance to have $120 donated in your name to your favorite charity! Good luck!